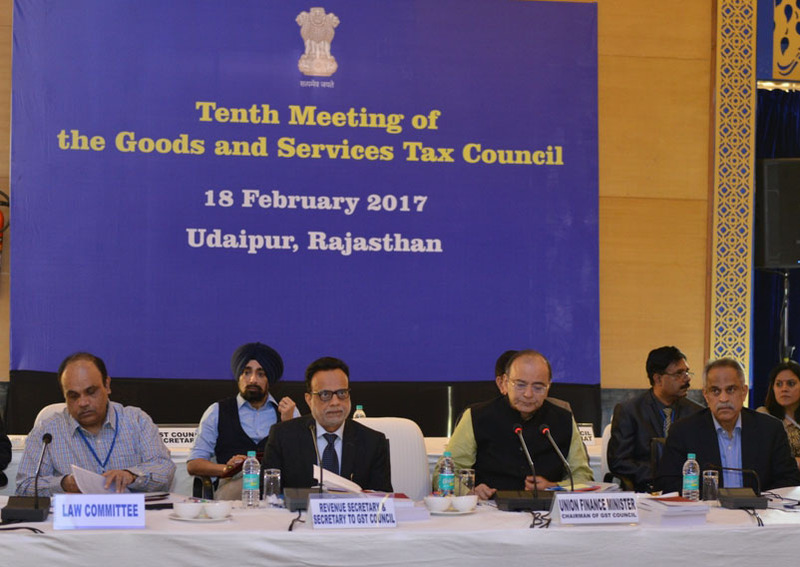 10th Good and Services Tax (GST) Council meet began on 18th February 2017 in Udaipur in Rajasthan. The Agenda items of the meeting, headed finance minister Arun Jaitley, includes Approval of Draft Compensation law modified and vetted by Law ministry, Approval of Draft model GST law modified and vetted by Law ministry and Confirmation of decisions taken during 9th Council meet. A consensus has already been obtained on all the contentious issues, including crucial subject like on sharing of the administrative powers between the Centre and the states. This is first time when the council meeting is being held outside Delhi. Over 700 participants from Centre and all the states are attending the meet.